22nd April 2015. New Embed User Treks feature for website owners; New Travel Sacks from less than $7; Outback Queensland, Super Specials and ANZAC Day. On Anzac Day, Australians are encouraged to make a specific effort to take time out to reflect upon those who have served, fought, and given their lives in the military. 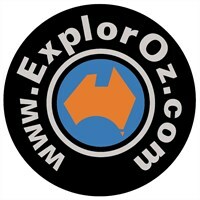 If you wish to get involved in Anzac discussions on ExplorOz.com, please do so via this page - the Anzac Legacy. Whilst Anzac Day is set to coincide with the anniversary of the landing in Gallipoli, the day itself is not meant to be a commemoration of the event, but rather the qualities that Australia established for itself there - courage, mateship, skill, and perseverance. In times when everything appears to be going wrong, we can hang onto the knowledge that with these 4 simple character traits, we can endure. Please note that in Western Australia, Monday 27th April is a Public Holiday and our offices will be closed. Online purchasing and order dispatch will operate as usual via our warehouse operations in South Australia. This week, Outback Queensland hit the headlines with the discovery of a significant dinosaur fossil found by a cattle farmer in Julia Creek! This part of Queensland is known as the Dinosaur Trail. Winton has Lake Quarry, and the Australia Age of Dinosaurs Museum. Hughenden has the Flinders Discovery Centre. In Richmond you'll find the Kronosaurus Korner - home of Australia's premier marine fossil collection - where this latest fossil is now housed. 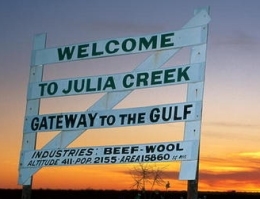 Outback Queensland is a fascinating region to explore. On ExplorOz we feature 7 Trek Notes within the region - with GPS driving notes, online mapping (free downloads to GPS for Members), and details of what to see and where to camp along the way. Here's a full summary of maps & guides books you need to plan and navigate your way there. What is a stuff sack? It's a bag to shove all your stuff in. The Travel Stuff Sack packs down to next to nothing. Use it as a laundry bag, shopping bag, or storage solution for times when you're on the go, such as camping and caravanning. Why not use it to separate clothing, food and drink or accessories inside another bag. 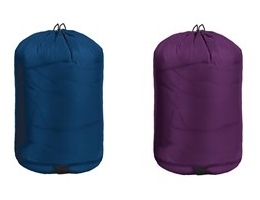 Available in two sizes (XS and S), and in two colours (navy and purple - called Midnight & Aubergine), these are a simple, no fuss, must-have item for any traveller. We've done a super deal with our suppliers to get a shipment of these handy bags at an amazing 50% off. But hurry, stock won't last long when these are so well priced. Any regular site user will already know about User Treks. These are track files that have been created by site users and uploaded to the ExplorOz website. These might be routes that you've driven and recorded using a GPS and OziExplorer, your Hema Navigator, or with EOTrackMe. When you select a User Trek to view on ExplorOz you go to a page showing stats, description, photos, and a map showing the route line of the trip. This map uses EOTopo online and allows you to explore their route file in as much detail as you like (ie. zoom). If you're a Member, one of the benefits is being able to download any of these User Trek files to your device or computer as GPX, CSV, Hema Navigator, GeoRSS or OziExplorer format. We've now just introduced the ability for embedding User Treks to external websites. This solves a problem for people where there is no easy+legal way to get a map route published on their site. How it works is that if you're an ExplorOz User Trek owner and you operate your own website, you can now embed any of your User Trek map images into your own website/blog. This might be handy for showing where you plan to travel, or to show where you've travelled. To access the embed code, follow the instructions given on this page. When constructing webpages, web designers can insert content from another source into a page using an IFrame. This is called "embedding". Map images can now be embedded from ExplorOz User Treks - the content is simply fed to your site page from ExplorOz.